A few minutes walk from London’s busy Oxford Street is multi-cultural, hip Soho. 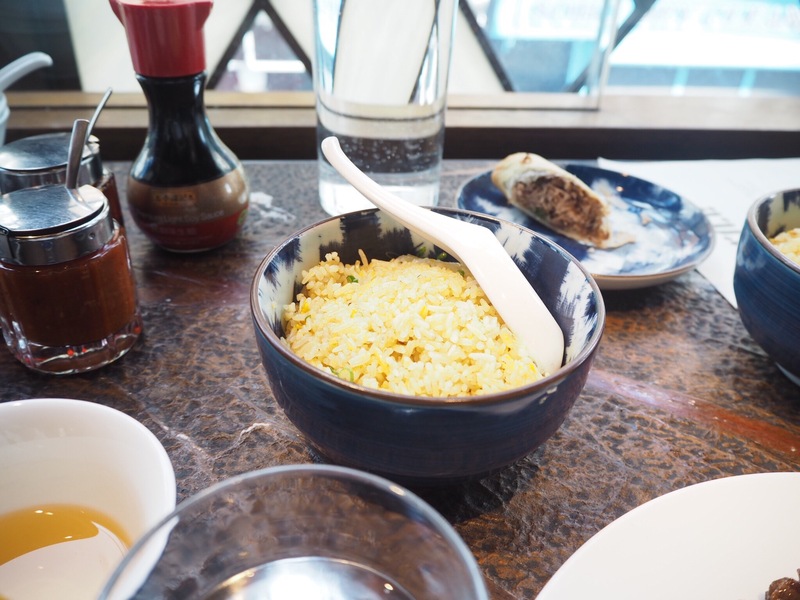 In the midst of boutique stores and contemporary coffee shops is the nirvana of Chinese cuisine, Duck and Rice by Alan Yau. On stepping in you enter the pub downstairs with huge shiny copper tanks proudly housing various beers and up a luxurious gorgeous gold and black spiral staircase is the dining room. Chinese is my go to cuisine, the one which just makes everything better, which makes you go into a completely acceptable food coma so this was a perfect ending to an awesome weekend. 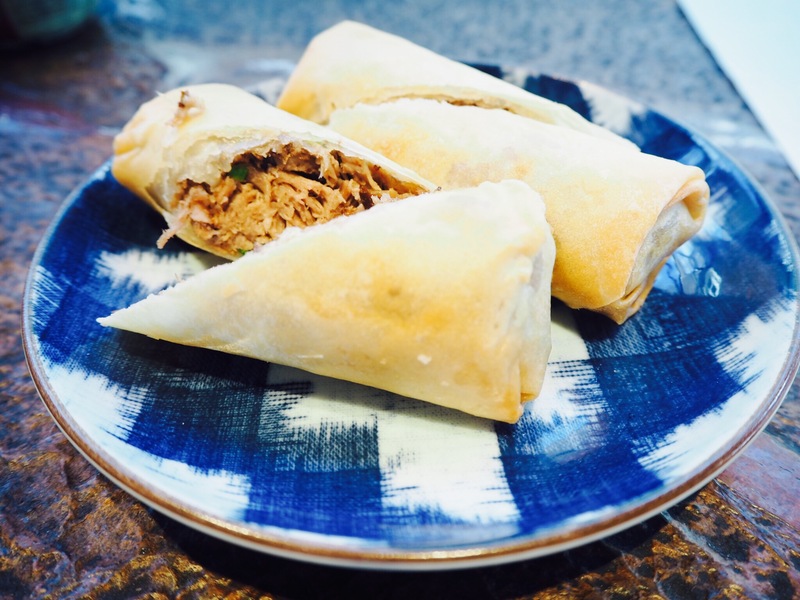 The main menu has just the right amount of choice, it happily includes all the favourites whilst haughtily introducing new and interesting options. Jasmine tea reminds me of my favourite Singapore restaurant Din Tai Fung. Tasting this tea immediately transported me back there, to a very happy place so massive tick, a great start. This was closely followed by placing an order of seven dishes which ended up being more than sufficient for three of us. I wanted to try King soya beef ho fun as I loved the name of the dish (I know I am a marketers dream) but I was not disappointed with these flavoursome tender slices of beef tossed amongst beansprouts, onions and glistening wide rice noodles. 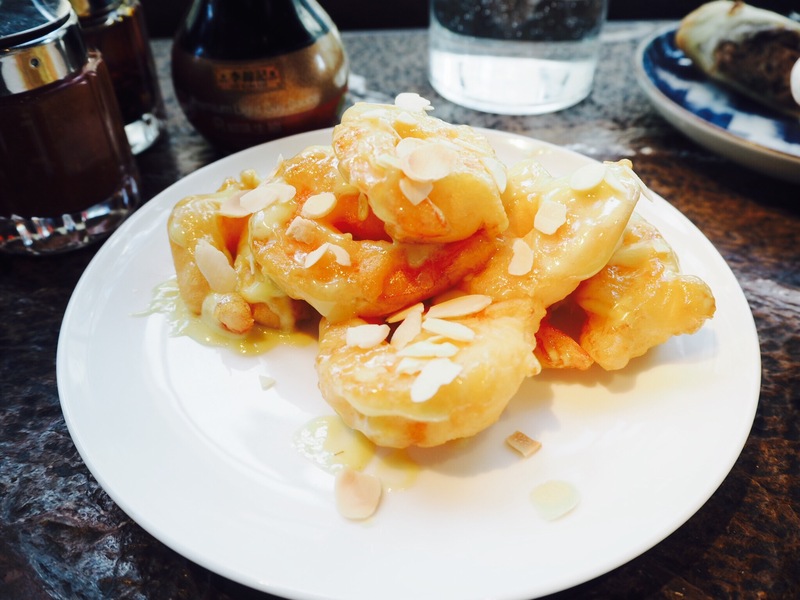 You can never go wrong with chicken and cashew nuts, now of course this is much more than just that. It’s accompanied with sticky glazed onions, peppers and garlic. Definitely one of the dishes of the day for me. The marketers dream continues with my love of jasmine tea and baos so to be presented with a combination including smoked ribs?! Hell yes that’s a must! It was delightfully sticky clout in a wonderfully perfect steamed roll. I’m always wary of salt and pepper squid, I worry that the batter will sadden me incase it’s too soft or greasy but on picking them up with chopsticks you could see they were just golden bites of excellence. They were perfectly cooked, fresh squid with just the right amount of seasoning. 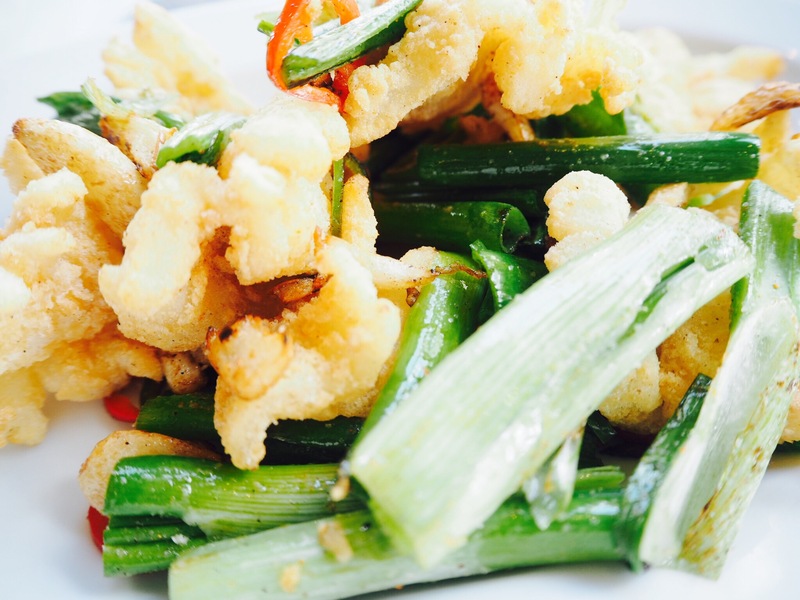 Coupled with fresh crunchy spring onions, this dish couldn’t have been lighter and more crisp. I actually secretly wanted crispy duck, one of my Chinese staples but these little beauties take the rolling pancakes process away. They are ready made, jam-packed rolls of lip-smacking heaven. Perfect as an accompaniment to your main meals but which give you that longing taste of crispy duck so I didn’t feel like I had missed out. All in all, one excellent choice for lunch and a special shout out to my friend for picking it (she always selects awesome places to try). Perfect for: Brunch, lunch & dinner with friends, family and those special romantic dates. Price: Mid range prices with main meals ranging from £9-£16. In my opinion, definitely great value for money. I am really looking forward to a second visit here. 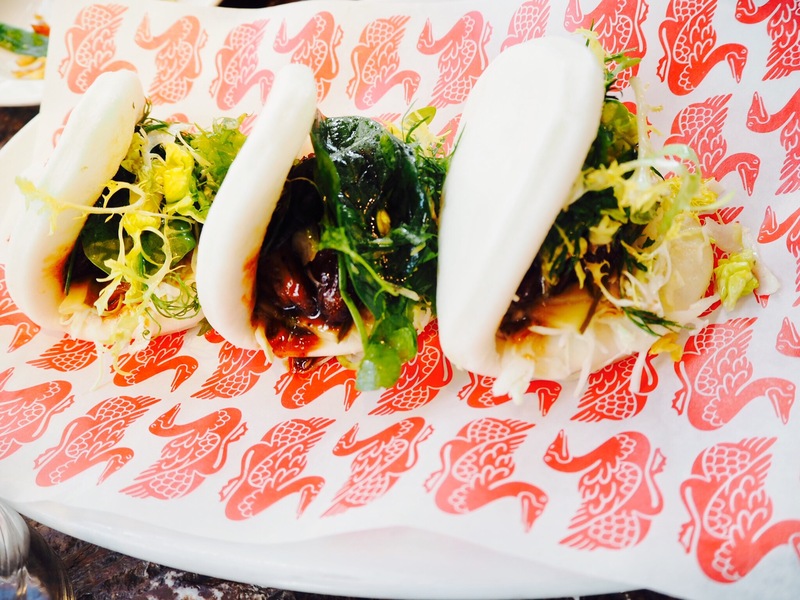 The food is enormously tasty and having a go-to chinese favourite in one of the hippest locations in London, you can’t go wrong. If you have visited here already I would love to hear your thoughts!